We have discussed many posts about residual soil; here we will discuss about some residual soil. Our concern here is laterites and saprolites and there extent in the world. 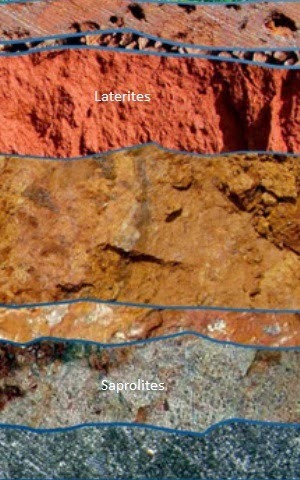 Both soils are residual but formed by different weathering process. At this post we will learn about laterites. 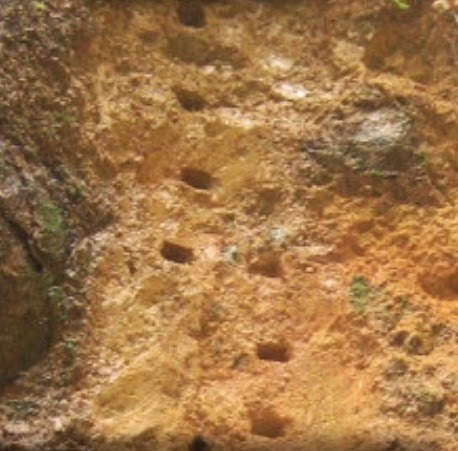 These soils are weather from some rocks having metallic oxides. The metal mainly involved in iron. Oxidation process produces reddish color. As oxidation is involved, they are weather in channel. Saprolites are also residual soil, their main characteristics is that they retain parental fabric and structure of mother rock. But weathering process produces a soft deposit, unlike parent rock, and they are considered as soil (obviously residual) instead of rock. They may be enriched with mica content to such amount that they cannot be used as foundation bed; require some improvement, like compaction. In United States saprolites are usually found in regions at the foot of mountain range. But they also found in different geologic regions other than that of United States, over the world. Dear reader we will learn about sampling of residual soil in next post.